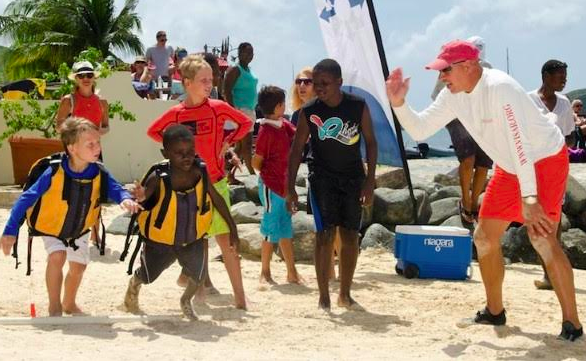 The Virgin Islands Search and Rescue (VISAR) is hoping to reel in much-needed funds in their sole fundraising drive called ‘Swim and Stand Up Paddling (SUP) the Sound’, which is scheduled for May 6. 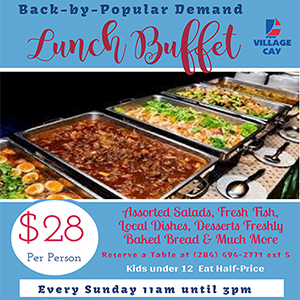 The yearly event is being relocated from its previous venue at Saba Rock and will be hosted at Leverick Bay on Virgin Gorda. Operations Manager at VISAR, Julie Schneider said organisers have made a few changes to the event this year. “There is not a three-mile category this year. But we’ve added a one-mile Swim or SUP as well as the two-mile Swim or SUP. There is also a sub-category for assisted swimming for the one and two-mile swim,” Schneider told BVI News. The two-mile race and the SUP will start from the dock at the Bitter End Yacht Club, while the one-mile race will start from one of the dive boats. According to Schneider, the impact of the 2017 hurricanes on the marine and other sectors impacted their coffers as well. “Our normal operating budget is $250,000 a year, pre-Irma. Our programme with the charter companies brings in about $145,000 on average and we have to use fundraisers like this to make up the balance. And being that there are not many boats that there usually is in the territory, we are not gaining as much money,” she said. The charter programme was established a number of years ago with every charter company in the BVI supporting the non-profit organisation. As a show of support, each charter guest donates $2 towards VISAR. VISAR is hoping to raise at least $20,000. According to Schneider, VISAR is critical to the territory. She said the volunteer organisation works hard to ensure that their boats are top-of-the-line and their volunteers are well-trained. The VISAR Operations Manager is therefore calling on persons to turn out to support this year’s fundraiser. There will be food and drinks on sale, activities for the family, and special fares on Speedy’s Ferry. The event is sponsored by KRyS Global, Carey Olsen, Bitter End Yacht Club and their partners; Leverick Bay, Riteway, Sail Caribbean Divers, Dive BVI, Sunchaser, Oil Nut Bay and Blue Rush Watersports. Well done VISAR. Keep up the good work. God’s blessings.